A complete, step-by-step guide to writing each letter of the alphabet, a great practice workbook to help reinforce the handwriting skills your child is learning at school. Developed with the guidance of the national Handwriting Association and packed with parent tips. Looking for some hands-on handwriting practice worksheets? 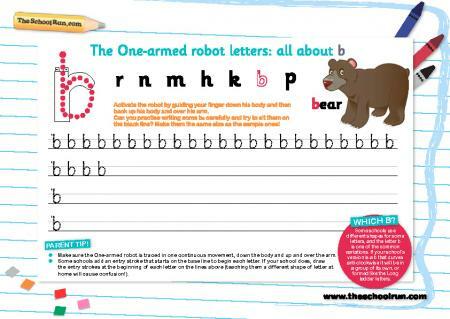 Our complete alphabet workbook offers a step-by-step guide to each letter, with plenty of space for your child to put pencil to paper and trace and write. Use the workbook in conjunction with our subsciber-only learning pack, Improve your child's handwriting in 8 weeks, to put the theory and expert advice into practice. 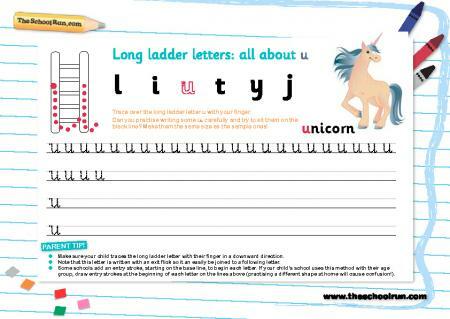 We also have more handwriting worksheets and handwriting information and writing practice activities on the site.